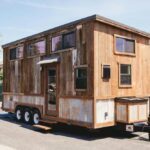 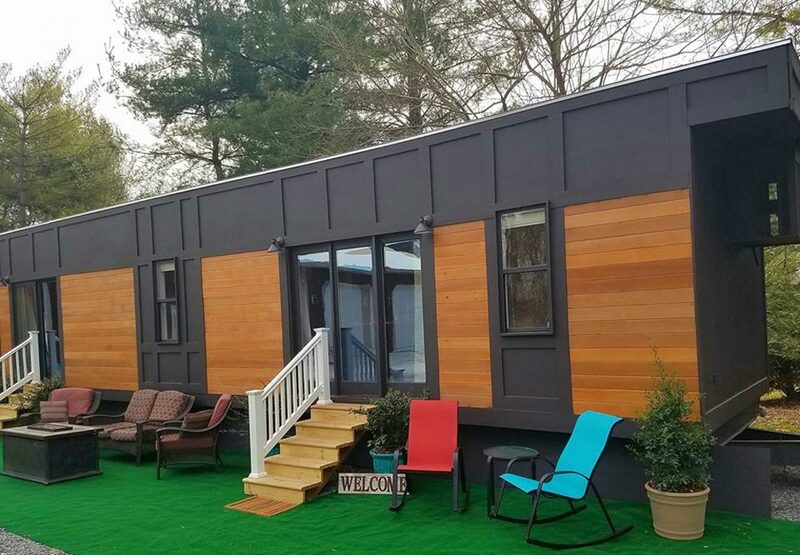 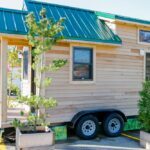 The 420-square-foot park model Dreamwood was created by Humble Houses in Germantown, Maryland. 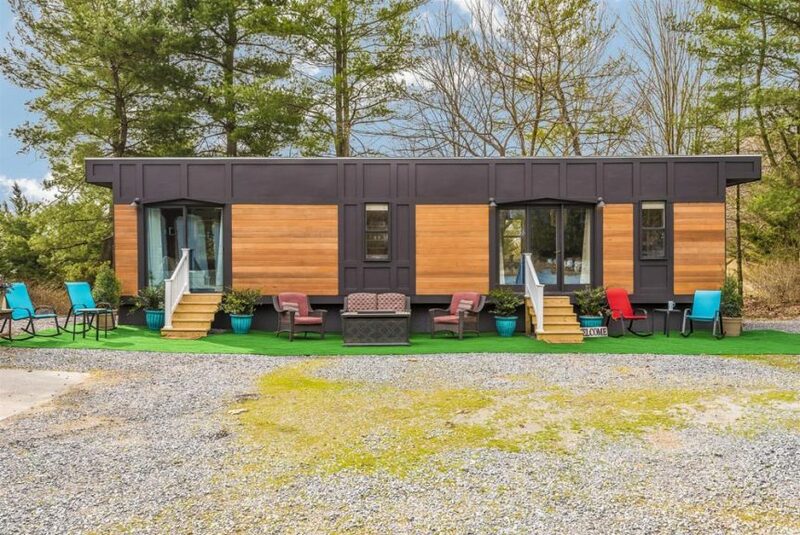 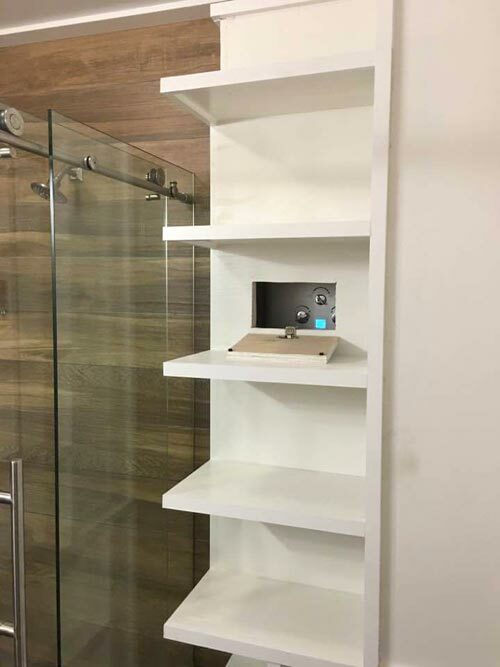 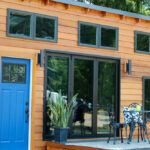 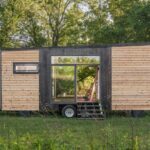 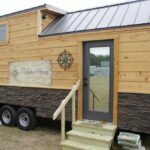 The luxurious single-level tiny house features a sleek, modern exterior. 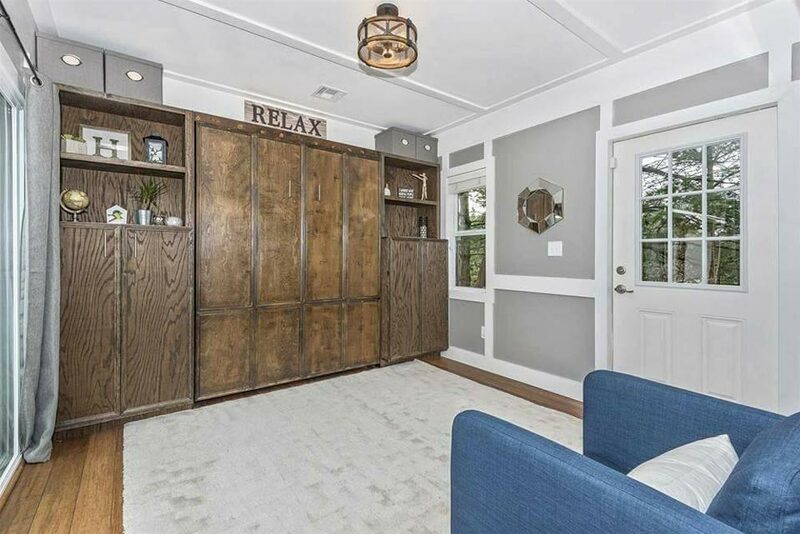 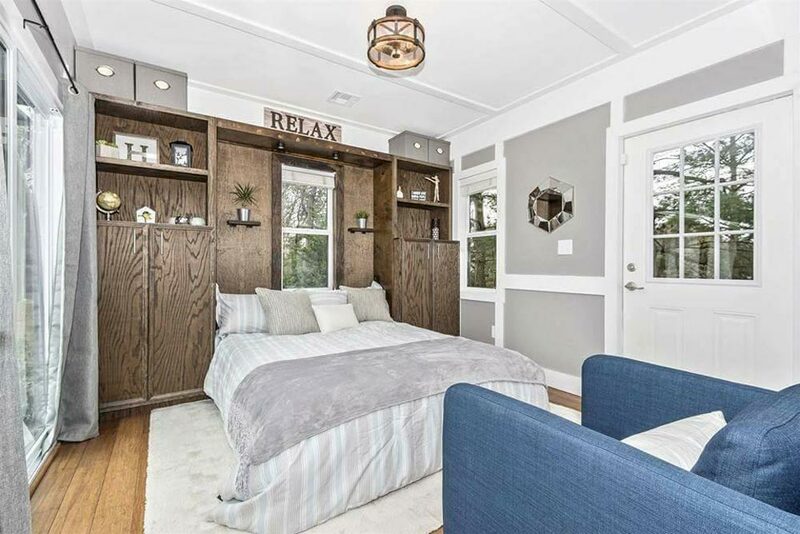 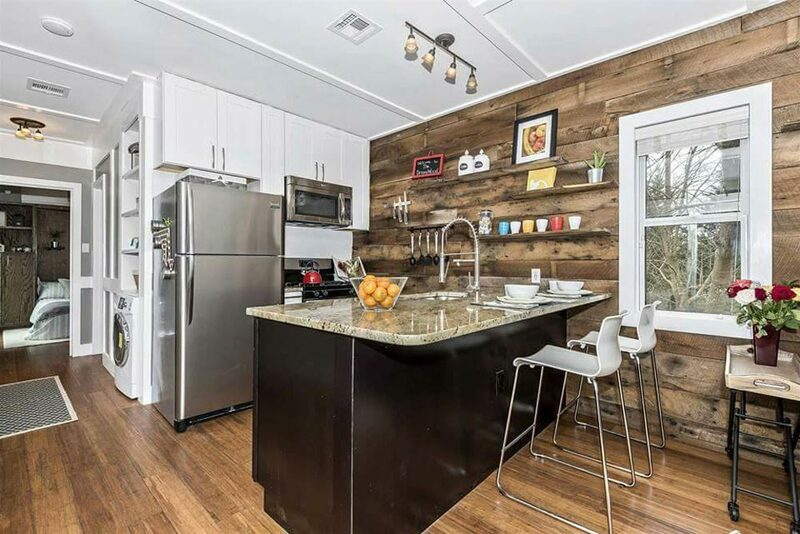 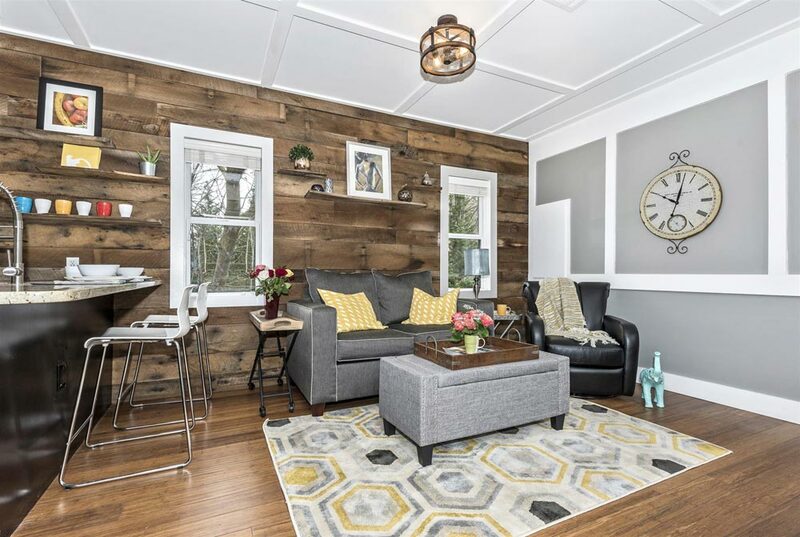 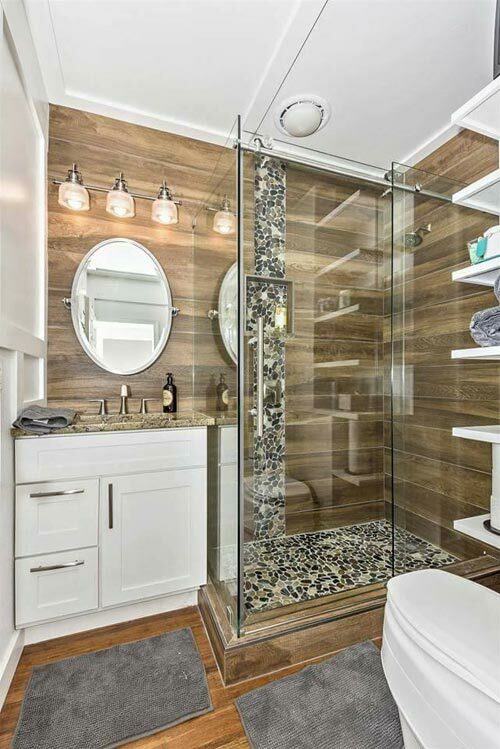 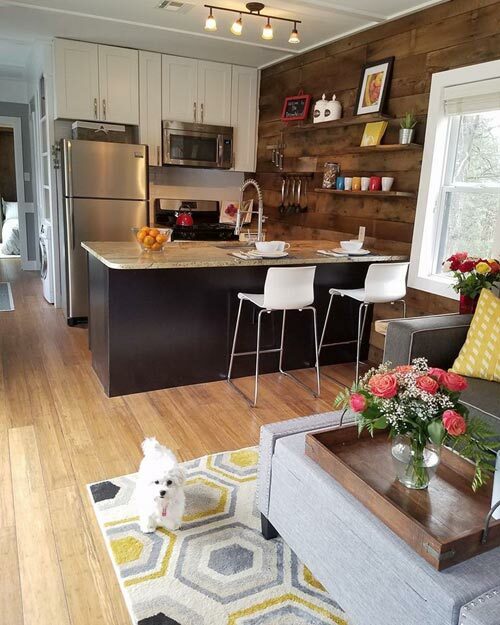 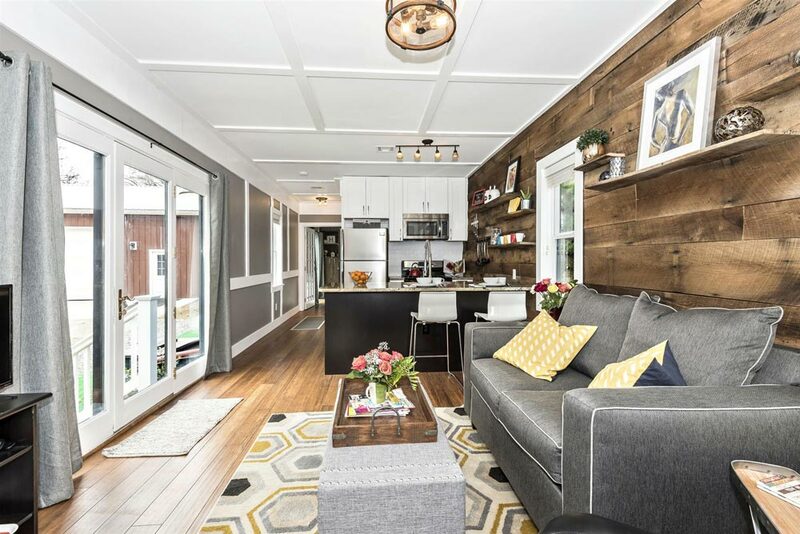 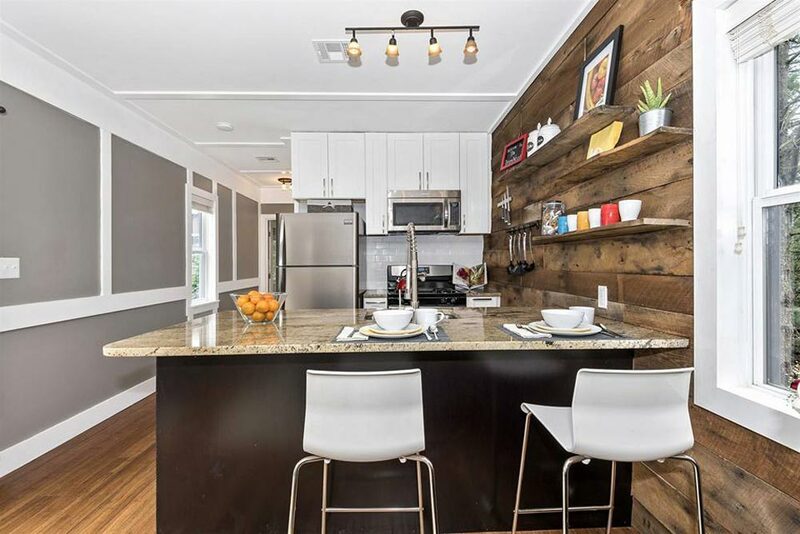 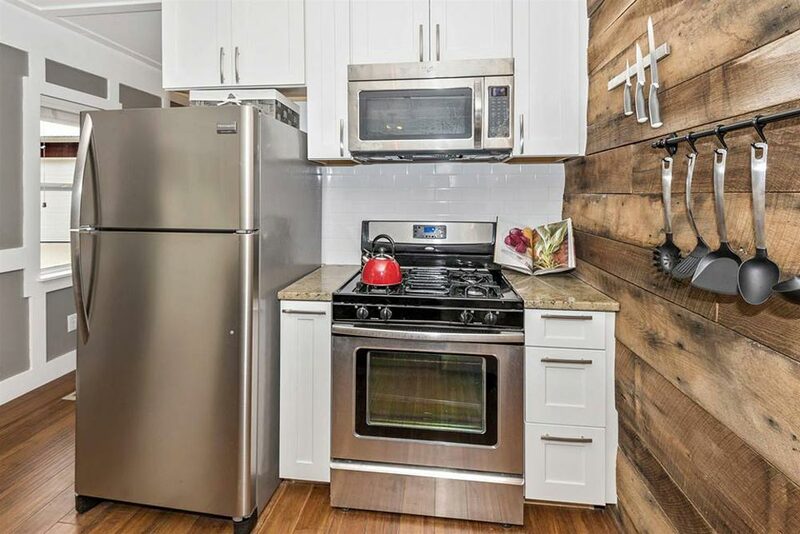 As you first walk into the spacious tiny house you’ll see a barn wood feature wall that uses locally sourced 150-year-old wood. 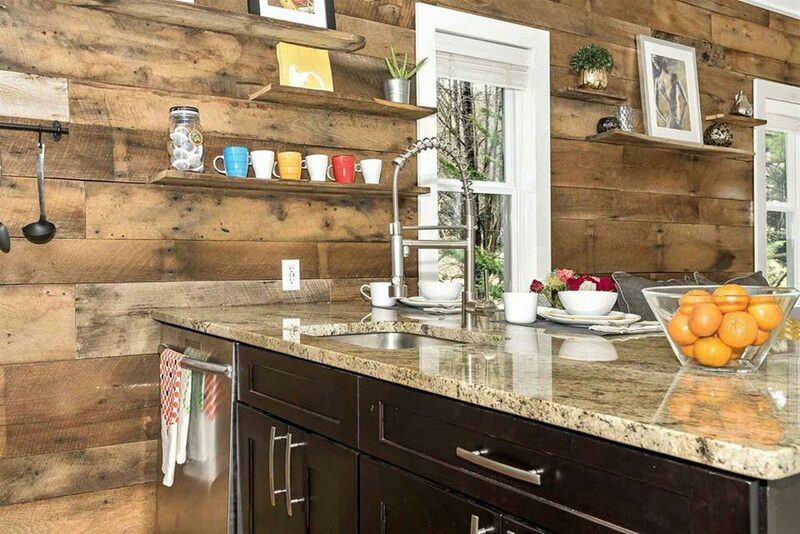 Rustic elements are blended with modern design throughout the house. 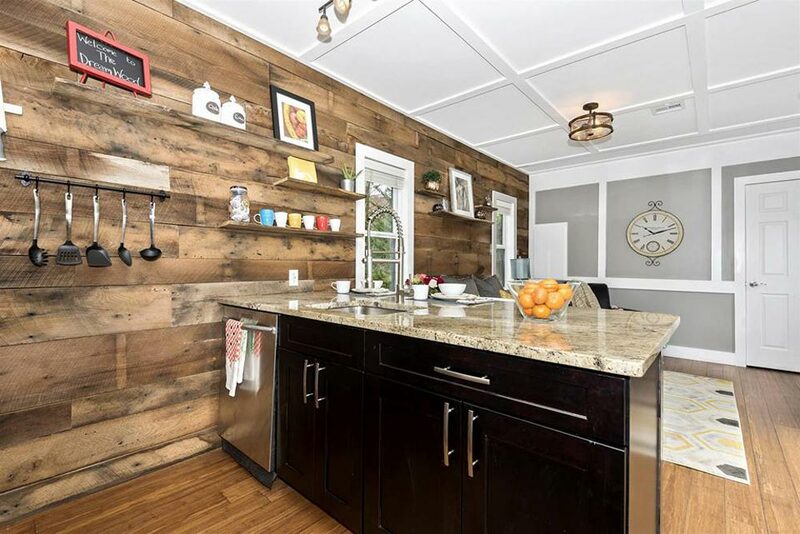 The kitchen has full size appliances and a large granite countertop that doubles as a table. 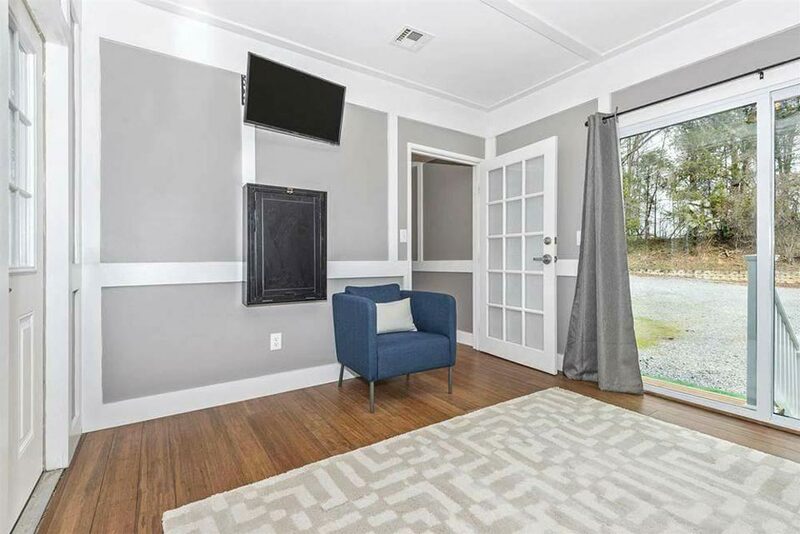 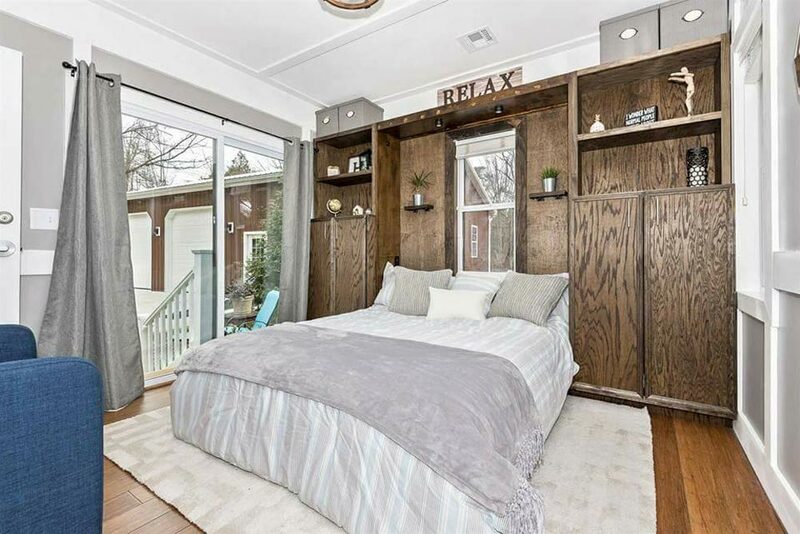 The main floor bedroom has a custom Murphy bed that allows the room to be used as an office or workout room when the bed is folded up. 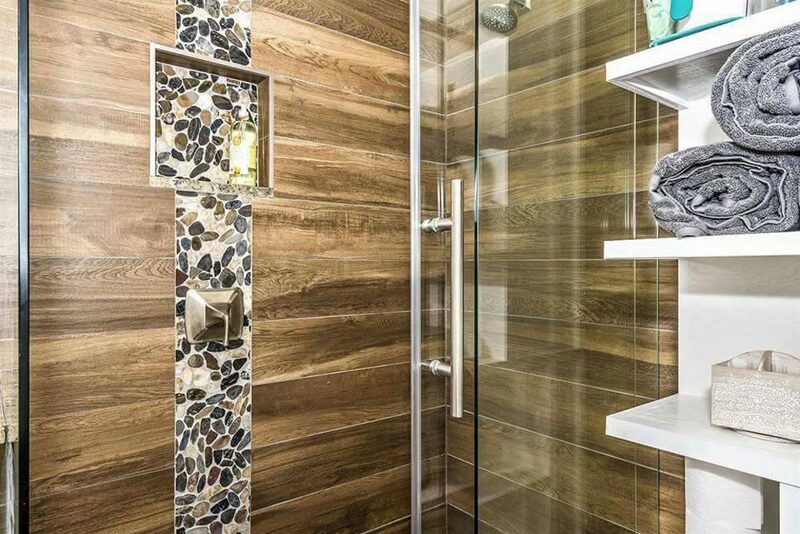 For more information about the Dreamwood, please contact the builder, Humble Houses. 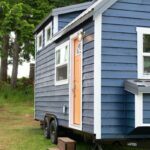 Also available from Humble Houses: Sanibel, Sugarloaf.